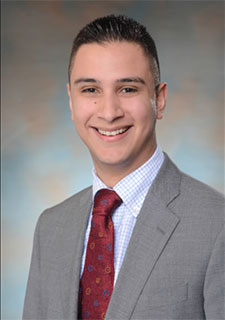 Guzman, a general business major, receives a full tuition scholarship from the Goizueta Foundation Scholars Fund for students of Latino or Hispanic descent. The scholarship has inspired him to maintain a 3.95 grade-point average, but it isn’t the only factor that has helped him succeed academically. He credits Reinhardt’s atmosphere for keeping him focused. He has felt challenged to go the extra mile and think outside the box to improve both academically and socially. As a freshman, he moved into Glenn & Marjorie H. Hubbard Hall. He believes that living on campus as an underclassman is an important part of the college experience because it helps students “get to know the university and build friendships and relationships. It is also important to get involved on campus and attend all the events the university has to offer,” he said.